I just spent a few minutes watching Congressman Trey Gowdy (R-SC) make compelling arguments to the left over a series of subjects. 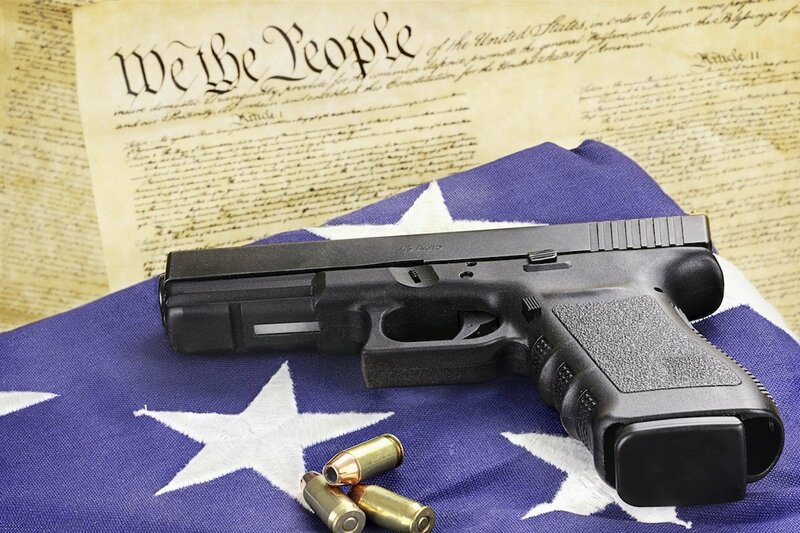 One of the most argued over rights as granted in the Constitution, is the Second Amendment. In one of the exchanges, the honorable Mr. Gowdy points out that if the federal government decided to start imposing tests in order for someone to exercise other rights under the constitution, the left would be apoplectic. For instance, my writing this right now. What if freedom of the press under the First Amendment meant you had to take a test first? You have to take a test to exercise your right to carry a firearm. Why not take a test to make sure you’re not a flailing idiot when writing for public consumption? Perhaps every blogger should also be administered a test to ensure he or she has all the facts (as the test administrator sees them) to be able to express their opinion. It’s an interesting and compelling argument. The Second Amendment is the only Constitutional right that, in most states, is being hampered by some sort of qualification before you are legally able to exercise that right. Free speech does have some limitations, such as the old, “you can’t yell “FIRE!” in a crowded theater” discussion. There are also laws on the books about liable so that one can’t slander someone with free speech without there being some ramifications. But those are not qualifiers. Those are limitations after-the-fact. They are put in place to punish someone after they have abused their right to something granted under the Constitution. We have the right to life, liberty and happiness. Despite who it might offend. Our nation was founded on the notion that while my activities might indeed offend someone else, I am still free to do (mostly) what I like. Even if that means someone else doesn’t like it. For example, freedom of religion springs to mind. There are religions of all sorts across this country. Some of which, in my opinion, really have no business being called a religion at all. But, the mere fact that I may disapprove of them doesn’t allow me to find ways to have them shut down, persecuted, prosecuted or otherwise silenced. Generally, the left is constantly decrying the fact that guns are the only tools under that list of rights, that in the wrongs hands, causes the death of another. At least that’s the basis for most of their arguments. But, if you take a moment, you’ll find that isn’t the truth at all. I think there is a very strong case for cause-and-effect because of the very immediate affect a firearm has, however, there are other mechanisms that cause as much or more death in the world that don’t have that immediate and very visceral effect that a firearm does. Let’s take life, liberty and the pursuit of happiness down to its core for a moment and discuss the very non-PC notion of having children. Indeed, it is another God-given right that you have to bring children into this world. Here in the United States, there is no limitation on having children whatsoever. If examined closely though, one might find that there is very real damage going on with our children because of this doctrine. People can produce children with no limitations and without proving that they have the means to support them. Obviously, you don’t have to be married to have children, you don’t even have to have a father/mother/partner/significant other in place opposite you to have a child. There mere fact that biologically you can produce one is all you need (adoptions, oddly enough actually mean you have to qualify to become a parent). Arguably, there is a very real need for children, in order to grow up healthy and happy, to have a mother/father and the financial means for support throughout their childhood and adolescence. Despite the fact that there is a great deal of anecdotal and other evidence that these children are often at risk, the government and the left feel no compelling need to protect them from inadequate or harmful parenting. Further, there are those that use having children as a payout system from state welfare systems. In these cases, the goal is to have as many children as you can tolerate to ensure the government provides you with housing, medical and other benefits “for the children” that otherwise might not be as lucrative without all those children around. The eldest children get roped into becoming surrogate fathers or mothers of the younger ones because the parent(s) have no real intention of raising the kids themselves. Once again, these kids are at risk. There are even stories of child molesters either moving into single mother’s homes to get access to children, or marrying to have children to then molest their own kids. While the latter might be reviled by all concerned, there still no precautionary tests or interviews to have these kids. You have to get a license to get married, but no qualifications whatsoever to have a child! Yet, despite this, no one gives a test to ensure they have the means or the know-how to raise a child or children. There is no license to have them. There is no renewal of a license to determine if they are properly caring for these kids. I realize that CPS has been created to try and stop the abuse, but it is largely underfunded and ineffective when compared to the sheer volume of cases they must review. Yet, I had to take a test to carry concealed. I must renew that license at specified intervals. I must demonstrate that I can safely handle a firearm according to the State and county rules (which vary from place to place). In my opinion, if the intent here is to prevent the potential death of human beings overall, shouldn’t all aspects of life be under the microscope? These unfortunate children are far more likely to either become victims of abuse, crime, drug addiction and overdoses, and a myriad of other high risk, life threatening situations than merely having a firearm in my house does. Heck, backyard pools present more of a threat, but no one administers a swimming test to the household to ensure they aren’t going to drown. Perhaps there should be a ban on having a swimming pool in your back yard until such time as it can be proved that each household member can pass a government administered swimming test. In addition, the mere presence of that pool would preclude you from having BBQ parties, parties that include alcohol or other guests that don’t present you with a validated swimming license. I know the above example is fairly absurd. I know that perhaps my mentioning that kids might be at risk by some people because of their having more than they can clearly afford to raise might be offensive to some. But, I want to illustrate the hypocritical, pick-and-choose method that the left uses to define what is and isn’t life threatening. As the honorable Mr. Gowdy pointed out, the Second Amendment is the only one that you must first pass a test in many places, in order to exercise. Just to be clear, I am not advocating that we start testing everyone for all things, on the contrary, I’m suggesting that you stop imposing more and more restrictions on the only right that is constantly under fire. Previous articleShould You Modify Your Concealed Carry Handgun?